You don’t have to get yourself a costume to consider yourself a real fan. 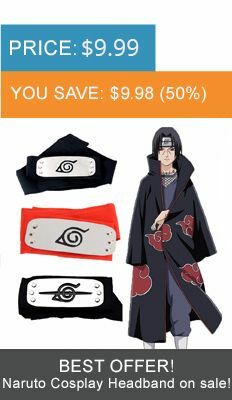 Let us offer you a variety of Naruto clothing for men. Here at our store, you will find different models suiting any taste. You can choose from a wide selection of T-shirts, sweaters, hoodies, baseball caps and other clothes. Find the one with your favorite character or the one with a cool-looking emblem of Konoha, Anbu or Akatsuki. Naruto hoodie or T-shirt is a great opportunity to show your interest in this great anime. Choose something you really like from our Naruto clothing.